Moving the finger away from the side of the gun makes room for the holster to fit around the gun. That’s the mantra we repeat as we put the gun into the holster. It means check the position of your thumb, check the position of your trigger finger, use your non-shooting hand to anchor any loose clothing well away from the holster area, and then — deliberately, consciously, while paying attention to what you’re doing — slowly ease the gun into the holster. I hope by now it isn’t necessary to remind everyone why we pay attention when we use a holster. Or why we take a second to holster. 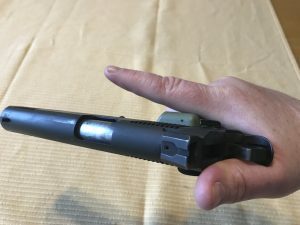 On guns equipped with a grip safety, moving the thumb to the back of the slide also gets your hand off the grip safety. The trigger finger should be away from the side of the gun during this process. This makes room for the holster to snug itself around the gun without bumping into your finger or dislodging it onto the trigger. We anchor the non-shooting hand so that it will definitely stay out of the way and will not drift in front of the muzzle either while we draw the gun or while we’re putting it away. And of course we will use that hand to hold onto any loose clothing, so it can’t getting into the holster along with the gun and foul us up. But what’s this bit about the thumb? With a 1911 pattern pistol, moving the thumb upwards lets you check the position of the thumb safety (up is on) and sense or prevent any hammer movement. Well, I strongly suggest that people put the thumb on the back of the slide or alongside the hammer as they put the gun away. Note that we still keep a good firing grip with the other fingers. We never just “drop” the gun somewhere in the vicinity of the holster mouth and then shove it the rest of the way into place with the heel of the hand! 1 Dropping the gun into the holster, without maintaining a solid grip on the gun, is uncontrolled and thus unsafe, which is why we don’t do it that way. On any gun with an exposed hammer, the thumb can prevent the hammer from moving if the trigger gets bumped as you holster. Rather, we move the thumb upwards while maintaining full control of the gun with our other fingers wrapped securely around the gun and the trigger finger away from the side of the gun. This way, we have activated any safeties that need to be activated. The trigger finger is away from the trigger and will not be snagged by the holster. And if we need to, we would be able to quickly bring the gun back up and into play without having lost our good firing grip. It is tempting to think of this thumb placement as being very gear-specific. It really isn’t. Although it has different benefits depending on the type of gun you use, it is beneficial for nearly every type of gun. Oh! Please note that we are talking here only about how we hold the gun as we put it into the holster. During the draw is a different subject entirely. In any case, putting the thumb in this location as the gun goes into the holster can be a very good habit, regardless of the gun type being used. 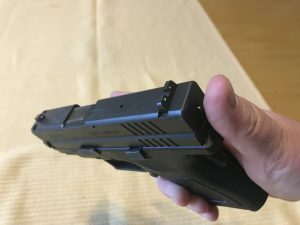 On a gun with a loaded-chamber indicator, moving the thumb to the back of the slide gives you one more check of the gun’s status as you holster. For any gun equipped with an external thumb safety, this is your opportunity to double-check that your thumb safety is on as your thumb sweeps up into its resting place. For any gun equipped with an exposed hammer, this allows you to sense movement in (and perhaps stop the falling of) the hammer. 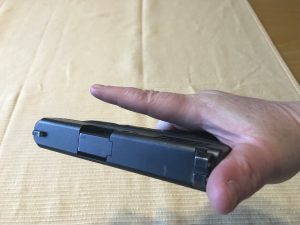 For most semi-auto pistols and especially the striker-fired types such as the Glock, this allows you to hold the slide firmly in battery with your thumb as the gun goes into the holster. If the holster is tight this can be the difference between a gun that functions well on the next draw and one that does not. 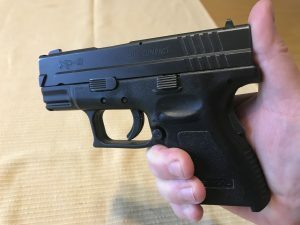 For any gun equipped with a grip safety, this gets the meat of your palm off the grip safety for additional security as the gun enters the holster. 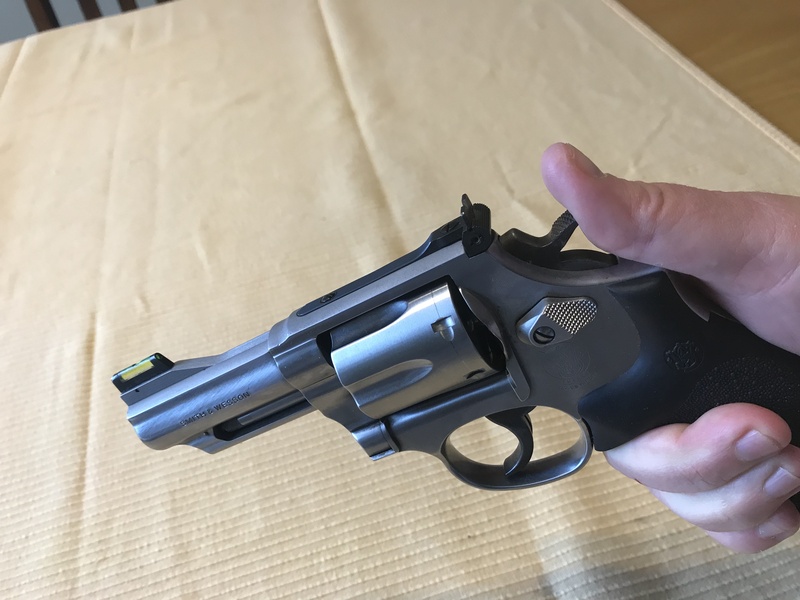 For any gun equipped with a loaded chamber indicator on the back of the slide, you can double-check the status of your gun as you put it into the holster. For a Glock equipped with a ‘Gadget’ (aka Striker Control Device) your thumb placed firmly on the slide cover plate allows you to sense and prevent any trigger movement while you holster. In every case, it’s a fairly simple practice that has no significant downsides and many potential benefits. Related to safety and to previously published articles about four rules. In CZ language we have saying that means that even very skilled person sometime does thing wrong. Lesson learned – __all__ 4 rules every time, everywhere.